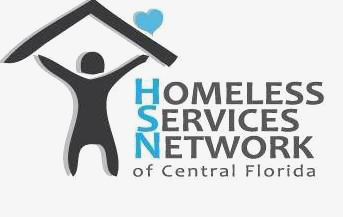 Orange County, Fla. – On January 11, 2018, the U.S. Department of Housing and Urban Development announced the Homeless Services Network of Central Florida (HSN successfully renewed $7.4 million in federal funding to continue to support the region’s Housing First and homeless youth initiatives. In addition, the agency will receive an increase of $100,000 to its rental assistance program, which helped 375 individuals who were experiencing homelessness have a place to call home last year. The increase comes in light of rising rental costs across the region. HSN is the lead agency for the Central Florida Continuum of Care (CoC), which includes six local jurisdictions. The organization is responsible for the distribution of federal funds to local landlords, youth programs and organizations that assist homeless people within the participating jurisdictions of Orange, Osceola and Seminole counties, in addition to the cities of Orlando, Sanford and Kissimmee. Reducing homelessness using Housing First approaches has been crucial to the region’s efforts to make any experience of homelessness brief and one-time. This award will help Central Florida’s efforts to continue focusing on veterans, families, youth and disabled persons with extensive histories of homelessness. Here in Central Florida, individuals who are identified as homeless are captured within a system that helps the many providers working together locally to strategically prioritize resources while avoiding duplication and disruptions in the tracking progress and documentation of services rendered. “The Central Florida Continuum of Care has been successful in its application for federal support in large part due to the investments of our local jurisdictions and business leaders,” said Martha Are, executive director for HSN. Are believes Central Florida is unique in the way it encourages partnerships to tackle big issues successfully, and this community spirit was evident in the successful federal application. The funding will be distributed throughout 2018 and 2019.